Talented gelding SAINT PATRICK'S DAY resumes as a fancied favourite in today's Halcyon BenchMark 75 Handicap (1200m) at the Sunshine Coast. 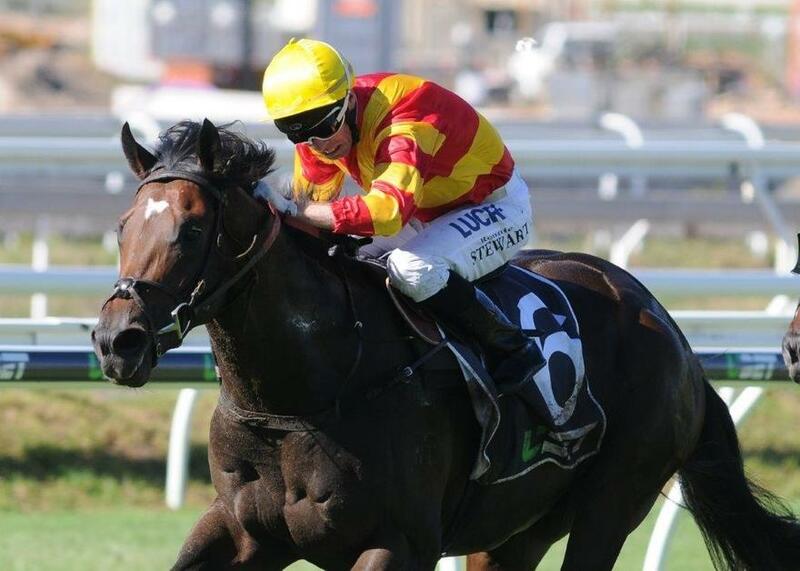 The son of Excelebration has not started since running a creditable fifth behind Pierata in the Magic Millions 3YO Guineas in January and heads into the race with the benefit of a recent barrier trial at Doomben, where he finished a narrow second to stablemate Johnny Whitesox. SAINT PATRICK'S DAY is unbeaten from two starts at the Sunshine Coast and has had three wins from four starts on Soft going. Stablemates SIXTY ONE TIGERS and ZOUCARA also line-up at Caloundra today. SIXTY ONE TIGERS has his third career start in the QTIS 3yo Colts and Geldings Maiden Plate (1000m), while ZOUCARA makes her debut in the 3yo Fillies Maiden Plate (1000m). TRAINER COMMENTS: "He's drawn very well today with Mark Du Plessis to ride so I'd expect him to be just behind the leaders and getting a nice run in what looks to be a moderately run 1000m. He's had the run under his belt and is a lot fitter today so he should run a very cheeky race for us." TRAINER COMMENTS: "She's drawn a little tricky but her jump out on Tuesday was very good and she's also had a trial before that so going into this race, she'll be fit enough for the 1000m. I'd expect Ryan to be positive and get her into a spot just trailing the speed and give her a chance to finish off the race strongly. She's done really well and she's got plenty of ability so I'm sure she'll run a cheeky race for us there today." TRAINER COMMENTS: "He's got a little bit of weight on his back but hopefully the 2kg allowance from Clayton Gallagher alleviates some of that. He's had enough miles into his legs to be fit enough for a race like this even though he's certainly going to improve on what he does today. He's fit enough to go to the races and to be more than competitive in a race like this. It'd be nice to have a bit of cover just behind the speed somewhere and I'm sure he's going to be strong to the line."